Comments/Origin: Found object in its original packaging, yellowed with age. 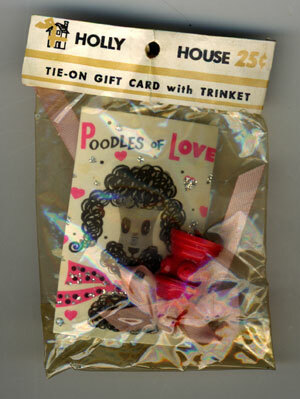 The former owners of our home in California were dog lovers and left 'oodles' of poodle memorabilia. This is the only item that will fit in your precious museum. Thanks for the memories and years of fun.